In celebration of Entrepreneurship as a Career for Student Entrepreneurship Week (#SEW2017), Enactus, the Innovation Office and the Propella Business Incubator hosted a lunch hour information and awareness session on 3 August at Goldfields South on Nelson Mandela University’s South Campus. 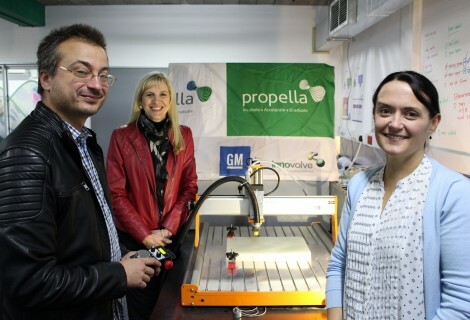 The session provided attendees with an overview of the contributions the Innovation Office and Propella Business Incubator make within their respective entrepreneurial ecosystems. 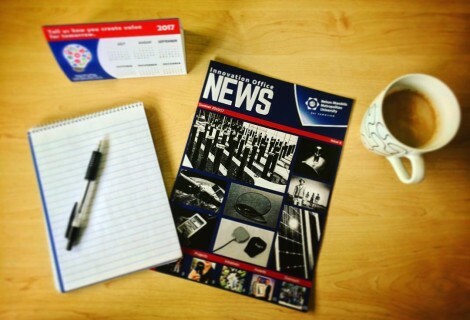 The Innovation Office also provided vital information on the protection of Intellectual Property. Propella Business Incubator Incubatee, Tuse, a service company that allows people in places with no signal the ability to be connected, also elaborated on their entrepreneurial journey and the impact the support of the incubator has on start-ups. For more information on the presentations, please download them on the right or contact the Innovation Office and Propella Business Incubator. 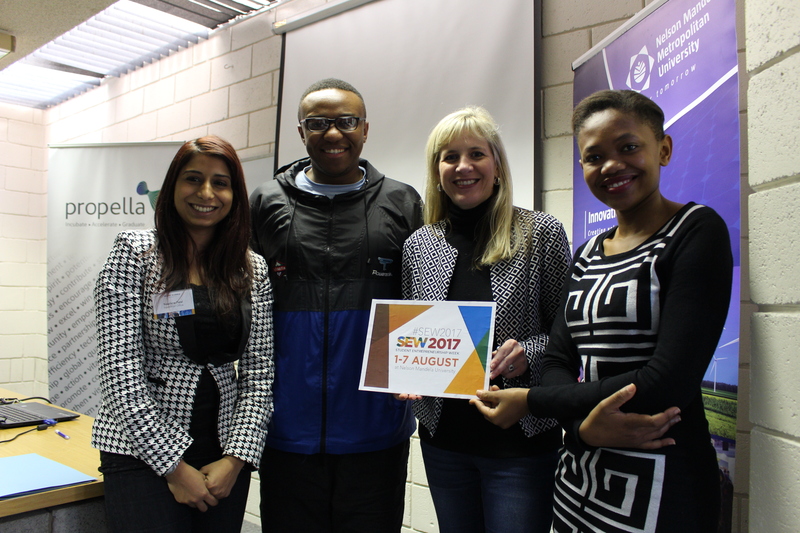 Photographed above are the speakers at the information and awareness session for #SEW2017 (from left to right): Naazlene Patel (Innovation Office), Sabelo Sibanda (Tuse), Anita Palmer (Propella Business Incubator) and Thulisile Volwana (Tuse).